Another winter shot from the farm – I have a few of these winter scenes it seems. This one is of an old hired hand’s quaters that sits back on the lot near the milking barn. It’s used for storage these days. 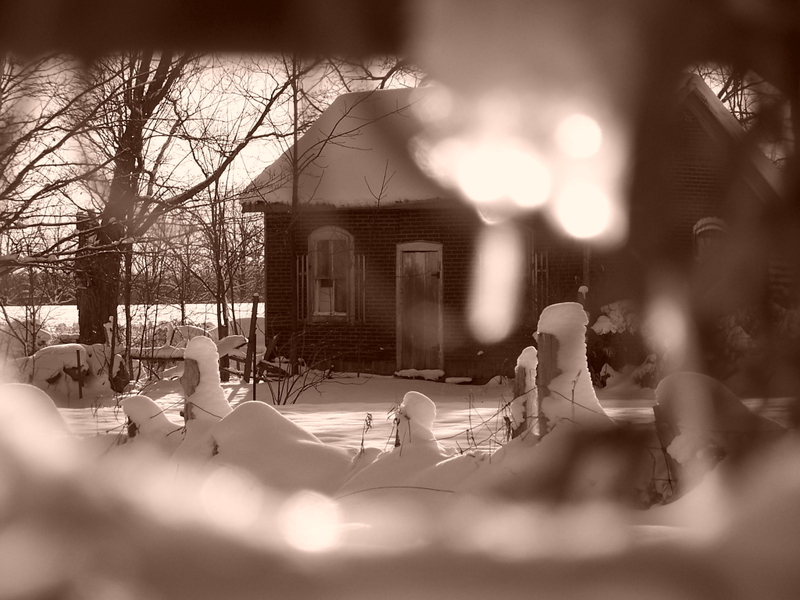 This shot was taken through some wooden fence beams that had ice forming on them. This entry was posted in Architecture and Design, Landscapes, P&S, Random Goodness. Bookmark the permalink.